Thanks to M.W. Bro. 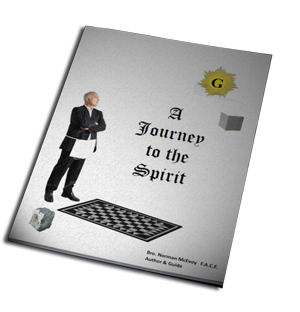 Budkofsky, PGM and Grand Historian of the Grand Lodge of Connecticut for his very insightful look at Prayer in our Masonic Lodges. Frequently we tend to forget that Freemasonry is non- sectarian and represents men of all faiths who believe in GOD. To most Masons, especially those who have made no special study of the Craft and its philosophy–the universality of Masonry, of which they hear so much, means only its wide distribution throughout the civilized world. If we were to ask a hundred average Master Masons, whether or not Freemasonry is a Christian organization, without a moment’s thought, many will agree that it is. There was a time when Freemasonry was Christian in character, and some of its early enthusiasts did all they could to keep it so. Some Christian influences still survive in our ritual and practice–the Holy St’s John are characters taken from the New Testament, the Lion of the Tribe of Judah is difficult to explain except as a Christian symbol, the New as well as the Old Testament is the Book of Law on Masonic Altars in all English-speaking countries. But Masonry is not Christian: nor is it Mohammedan nor Jewish nor to be classified by the name of any other sect. The power which has held it together, the nourishment which has caused its growth, the central theme which makes it unique, is the opportunity it affords men of every faith, happily to kneel together at the same Altar, each in worship of the GOD he reveres, under the universal name of Great Architect of the Universe. The universality of Freemasonry is in its toleration of every man’s faith, so it is monotheistic. Freemasonry must constantly be aware of those within our fraternity who would attempt to convert us into an organization we were never intended to be. It is of paramount importance in today’s Masonic circles of leadership that there be a continuing emphasis on the universality of Freemasonry. As relates to the First Book of Constitution (“it is the religion in which all good men agree”) it is based on a foundation which supports all religions, creeds and sects. Once Masons unite under its banner, they may afterwards proceed to build for themselves temples of worship for all the great religions of the world. While Freemasonry does not interfere with these extra curricular activities, we must insist that whatever be their private opinions, Masons shall stand on that foundation. One of the most important of all our regulations is that which forbids us to participate, as Masons, in any form of religious or political sectarianism. The fraternity’s attitude towards all such sectarianism is more than merely one of a negative position. It goes further than just a hands off policy. It is rather an affirmative position, for it definitely prohibits all Masons from sectarian controversies in any form. Such controversies are un-Masonic, that is, they are outright violations of written Masonic law. To maintain that harmony, it is necessary that whatever passions and prejudices might divide us into opposing groups, feuds, schisms or conflicting cliques, must be kept out at all cost. Nothing is more likely to destroy the peace and harmony of the craft than religious and political sectarianism. For this reason, sectarianism is prohibited in Freemasonry because the welfare of the fraternity and the brotherhood it teaches demand that that be so. All of which adds up to the fact that Freemasonry seeks to unite men into one guild or union and thus becomes the means of conciliating true friendship among the persons that might have remained at a perpetual distance. And the principle of universality as to religious beliefs has been and continues to be our greatest heritage and our greatest challenge. In the “Charge” of the Master Mason degree, we were admonished to carefully preserve the Ancient Landmarks of the Order entrusted to our care. The Landmarks of Masonry are those ancient principles and practices which mark out and distinguish Freemasonry as such, and constitute our source of Masonic Jurisprudence. Freemasonry is defined in its “Statement of Principles” as a charitable, benevolent, educational, and religious society. Religious in that it teaches monotheism, which is the sole dogma of Freemasonry. Belief in one God is required of every initiate, but his conception of the Supreme Being is left to his own interpretation. This is the basis of our universality. The Holy Bible is open upon its altar whenever a lodge is in session, reverence for God is ever present in its ceremonials. The Great Light of Freemasonry is the Volume of the Sacred Law which is an indispensable part of the furniture of a Masonic Lodge. The Grand Lodges of the United States use the Holy Bible as the volume of Sacred Law on their altars, however the candidate who is not a Christian or of the Jewish faith is entitled to have his own sacred book substituted for the Bible. Past Grand Master, The Rev. Thomas S. Roy, D.D., Grand Master of Masons in Mass. in 1951, had good counsel for Lodge Chaplains and others who insist on the use of Christian phraseology in prayer offered at Masonic gatherings when he points to the crux of the problem as it pertains to the universality of Freemasonry. “I am quite sure that as Brethren we shall strengthen the bonds that unite us as we find common expression in prayer rather than assert our right to use, each his own, distinctive phraseology. The Universality of Freemasonry can only be accomplished when we accept and understand what we read in the Old Charge; i.e. we recognize non-sectarianism as an important lesson in the teachings of Freemasonry; when we subscribe to the 1939 Declaration of Principles, as adopted by the Conference of Grand Masters in North America; when we take seriously that which we teach and speak a great deal of and on occasion seemingly practice very little. Then and only then will one’s religious denomination or persuasions become secondary, thus Freemasonry becomes the center of union, and the means of conciliating true Friendship among persons that might have remained at a perpetual distance. In summation, Masons meet on the level and seek to conciliate true friendship among those of every sect and opinion ..Any prayer in the lodges should be such that any Mason could freely respond, “So mote it be,” an old phrase which may be interpreted to mean, “This is my prayer, too”….. It has long been my view, and demonstrated by the Forget-me- Nots in the Header of “The Educator” Home Page, that Freemasonry is Universal and celebrates the “Universality of Man” which makes the message related by M.W.Bro. Budkofsky music to my ears. Far too often I find our Organists, certainly without malice, provide renditions of popular Christian Hymns, in the course of our ceremonies and I do wonder what our Jewish; Hindu & Sikh Brethren may be thinking when that occurs. In my home Lodge, Victoria Columbia No 1 Grand Lodge of British Columbia & Yukon (Canada) I am proud to inform you we have Four Volumes of the Sacred Law on our altar at all times and are there to provide respect to the faith of all those Brethren whom we know are Members or could be visiting with us. Surely, as the writer points out very clearly, this is a High Light of Freemasonry and makes us Uniquely who we are.